Our apartment is located in a small residential and commercial unit on the northern outskirts of Hildesheim, a few minutes walk from the main train station, and thus in an ideal location for both city walkers as well as for visitors to the UNESCO World Heritage in Hildesheim. Various venues - for example Hall 39 or the M`era Luna Areal - are within easy walking distance. The apartment has a large living room, a bedroom, a kitchen and a modern bathroom. The living room with couch, wall and carpet has SAT-TV and stereo on another guest bed. The bedroom has a double bed (1.40m), dresser and a large wardrobe and also includes satellite TV. The modern fitted kitchen with seating for up to 3 people includes a complete equipment with built-in cooker, ceramic hob, sink, refrigerator and microwave. Coffee maker, toaster and kettle as well as a complete set of dishes complete the picture. The immediate proximity to the main station makes our rooms also interesting for fair guests of the fair Hanover. The A7 motorway is nearby and the fair can be reached in about 20 minutes. Alternatively, the B6 federal road also leads directly to the trade fair grounds (about 30 minutes to the trade fair grounds). In front of the house are enough parking available. In the immediate vicinity are numerous shops - discounters, drugstores, pharmacies and much more - settled. 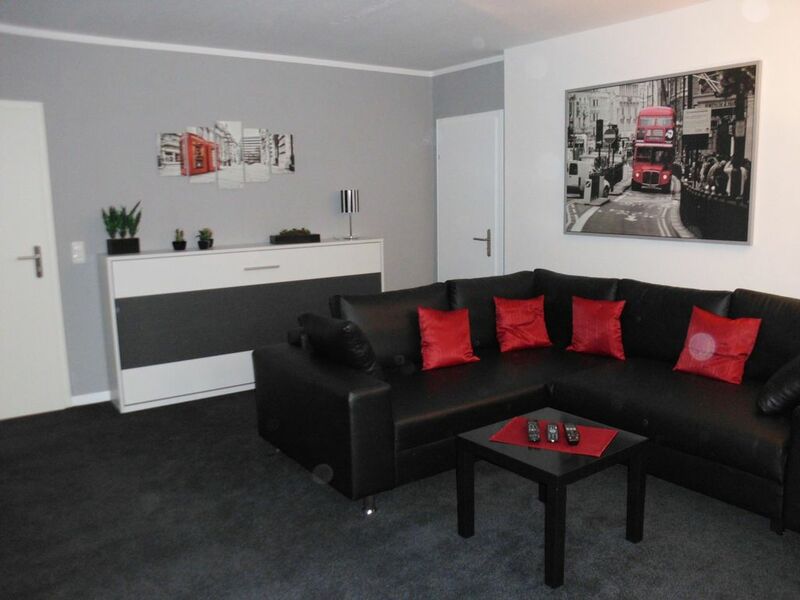 Super ausgestattete, modern eingerichtete Ferienwohnung für zwei Personen. Nette engagierte Vermieter, wir würden jederzeit wieder buchen. Sehr schöne Wohnung, ruhig gelegen und der Kontakt mit den Vermieter*innen war sehr herzlich, schnell und aufmerksam. Gerne jederzeit wieder.